The intensive care unit (ICU) at Memorial Hospital of Carbon County (MHCC) is designed to provide expert, personalized care to patients with life-threatening conditions. The expertise and versatility of our staff allows us to care for patients of all ages, including infants and children, and those with highly complex needs due to cardiovascular and neurological problems. One of the keys to our high-quality care is maintaining a low nurse-to-patient ratio. Each of our nurses cares for an average of one to two patients at a time, allowing us to provide vigilant care. The ICU team members take part in continuing education so that they are always informed about the latest research and treatments. 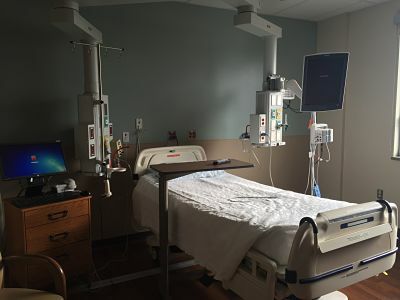 Our newly remodeled ICU can accommodate up to six patients. These state-of-the-art rooms are all private and spacious with the latest technologies to provide the most efficient and safe patient care possible.